Congrats to Madhi and Hannah! Two sixth graders collaborated on this winning design! 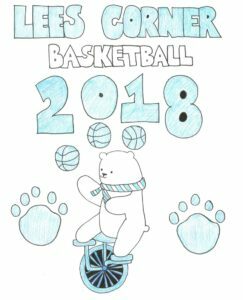 This will be printed on a black t-shirt for the 2018 Lees Corner vs. Oak Hill Basketball game!